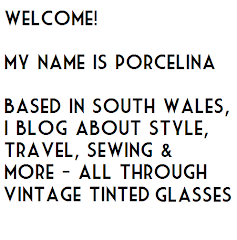 I'm keeping it local for this post, and want to mention a fabulous little salon and spa in Rhiwbina, a posh suburb of Cardiff. 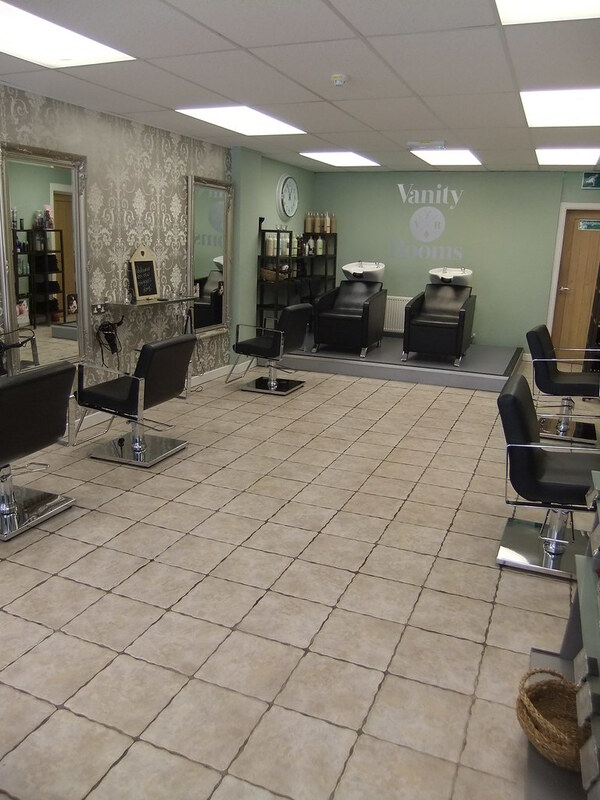 Open since the end of 2013, Vanity Rooms & Spa is an Aveda salon that offers a full range of beauty services, from hair and nails, to complementary therapies. 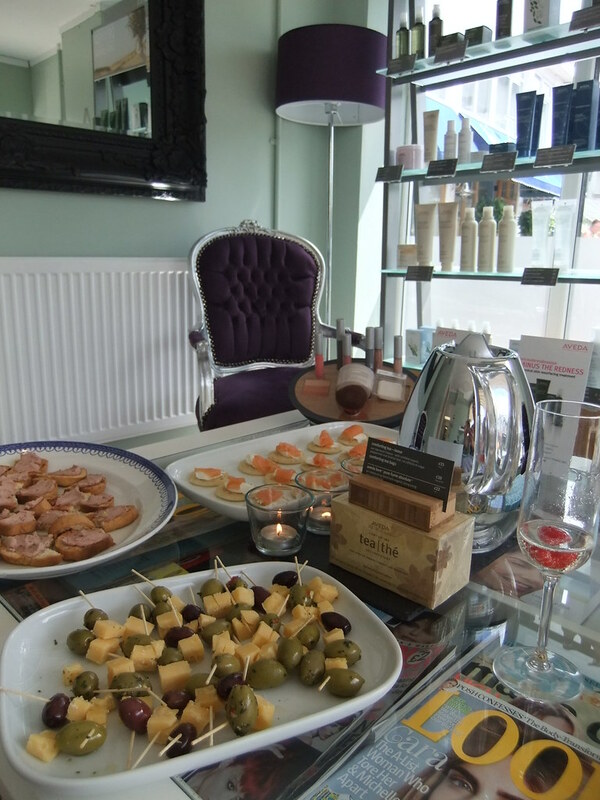 I was invited to pop in on their bloggers' open day, and received a very warm welcome on arriving at the salon, before being taken through what each customer would receive as standard - the full range of Aveda 'rituals' including herbal tea, arm massages,breathing exercises and so forth, as well as the main treatment booked. I've tried some Aveda products before and liked them, and while they're not completely petrochemical free - so I wouldn't use them everyday, rather just on occasional spa visits - they do have a large range without parabens, and genuinely seem interested in using natural ingredients, as well as being evironmentally responsible. 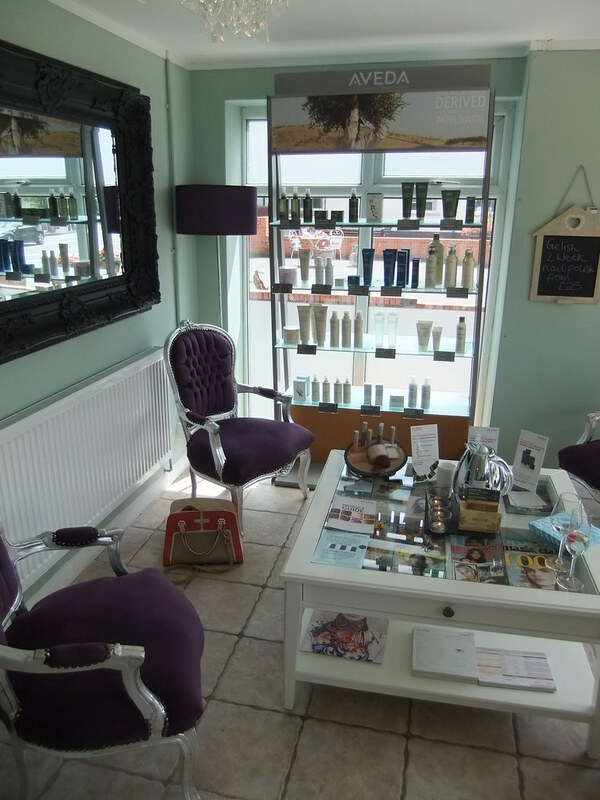 Owner Charlotte previously ran 'Ocean' in Roath for 10 years, but wanted to branch out on her own and offer every service under one roof, so that your standard 'maintenance' treatments, like pedicures and waxing, can be done alongside massages, facials and other luxury treatments. 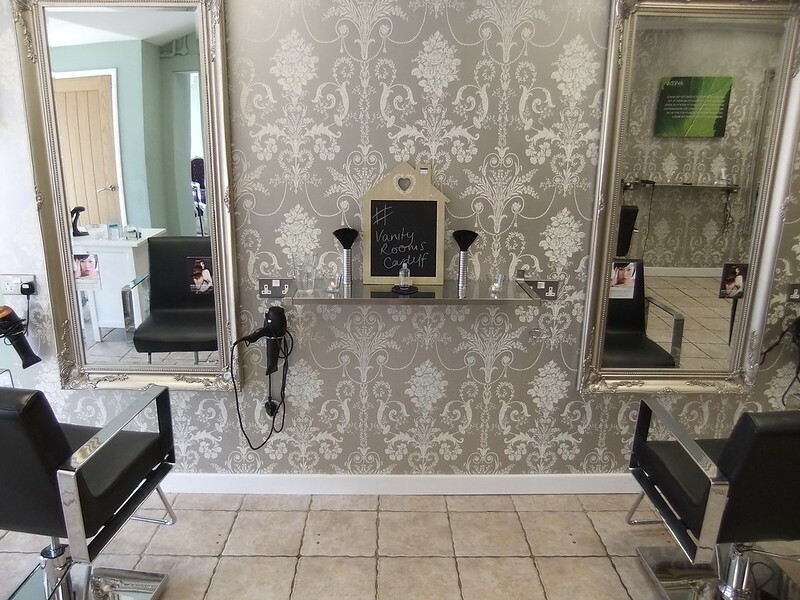 The waiting area is light and bright, with attention to the decor, so there is definitely a sense straight away that this offers much more than your average local salon. There are two treatment rooms, one for the more holistic therapies, and the other for waxing and similar. 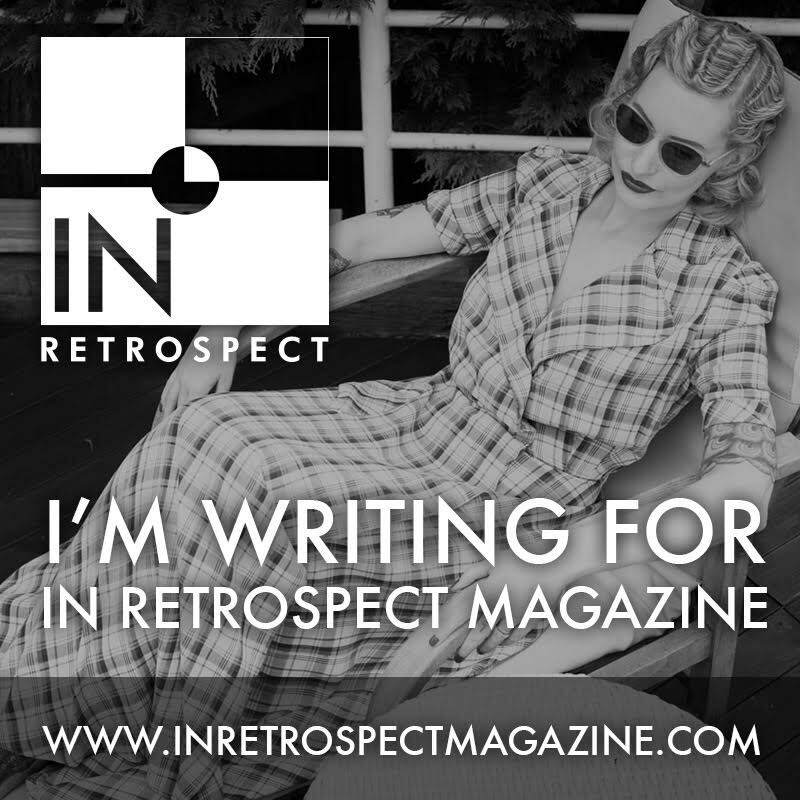 This definitely adds to the more personal feeling, and as a private person that likes to keep a degree of mystery around my beauty regime, I have to say this is much more my kind of place than those salons where I see ladies having their brows threaded in the windows, in full view of passers by! I was treated to an Aveda facial, which I desperately needed since my poor skin has been a bit dehydrated. Therapist Emma did a hydrating facial which really did do the trick in giving my face a moisture boost, and I left the treatment room shiny-faced and relaxed. 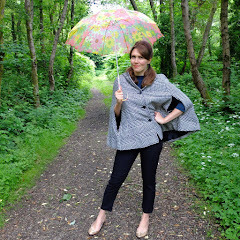 I then had my hair washed and blow-dried by Tasha, who was very chatty and gave me some lovely, soft and natural waves. All of the staff I met on the day were friendly and professional, and I think that being made to feel welcome and at ease is so important for a good salon experience and hugely increases the chance of return visits. To give you an idea of pricing, Gelish 2 week nail polish is £25, facials start from £40, and the popular Aveda pedicures from £35 - so, comparable prices to other places, and definitely that bit cheaper than at hotel spas in the area. 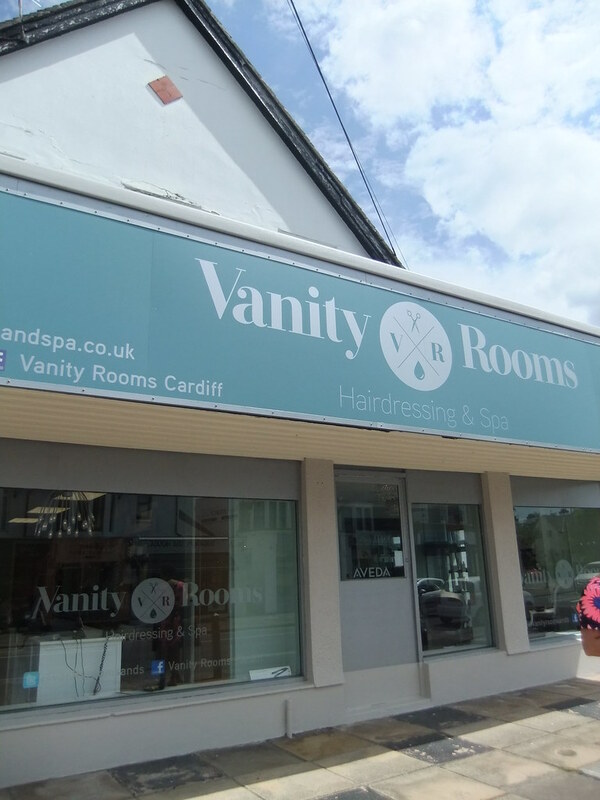 There are not many Aveda spas in South Wales, so it's great to have Vanity Rooms in Cardiff, and Rhiwbina has some lovely little independent stores for a browse around and perhaps a spot of tea and cake after the hungry work of having beauty treatments done! Thank you so much to Charlotte and all her staff at Vanity Rooms and Spa for inviting me along, it was a lovely experience and I'm sure I'll be back very soon! Views are my own. Their interior is so strikingly beautiful! The silvery-grey damask wallpaper in particular stole my breath away. How lovely that you have a gorgeous salon + spa like this in your own backyard. OMG that spa looks gorgeous. Love the walls and look at all those treats! !